I took this image last Thursday in low light. There are actually two shown in this photo. The image was taken at about 8pm on ISO800, far higher than I normally use. The insect was also "shivering" which meant this image was the only one just in focus. 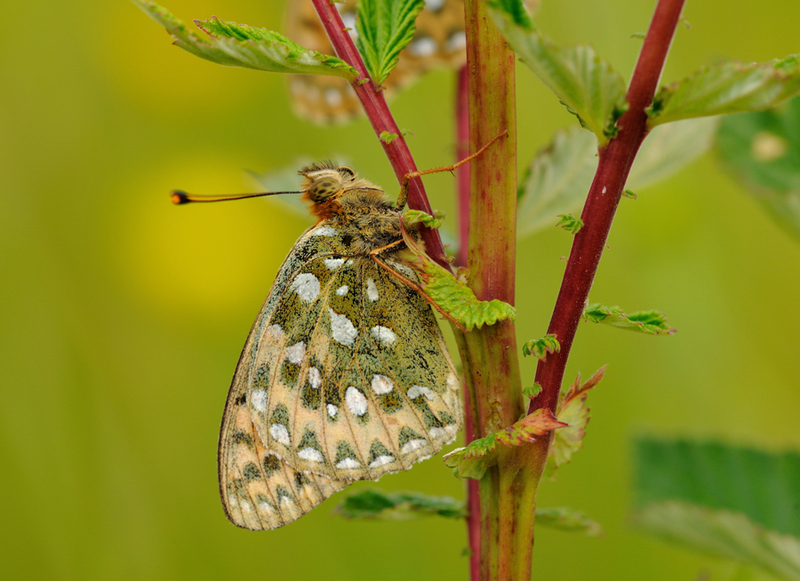 Dark-green Fritillary is a bit of a speciality in this region and this was my first for the year here. Some photography there Sir! As Clapton said to Kieth Moon when asked "where are you going now Eric" after seeing Jimi Hendrix play live. "Home to practice" me ditto. Well done!